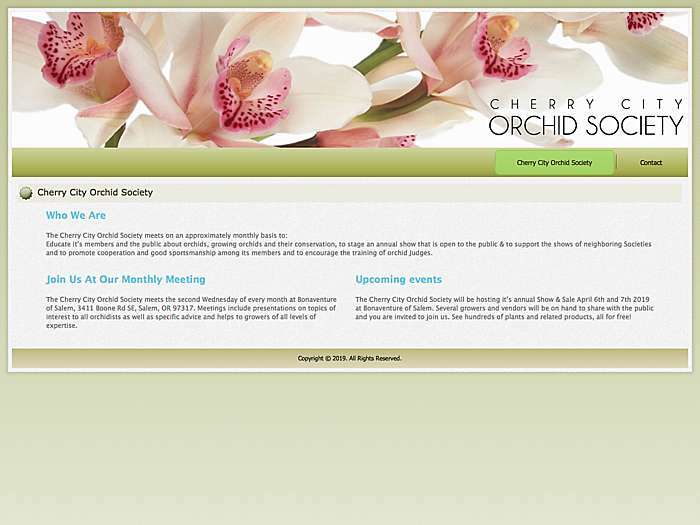 Membership, events, and contact information. 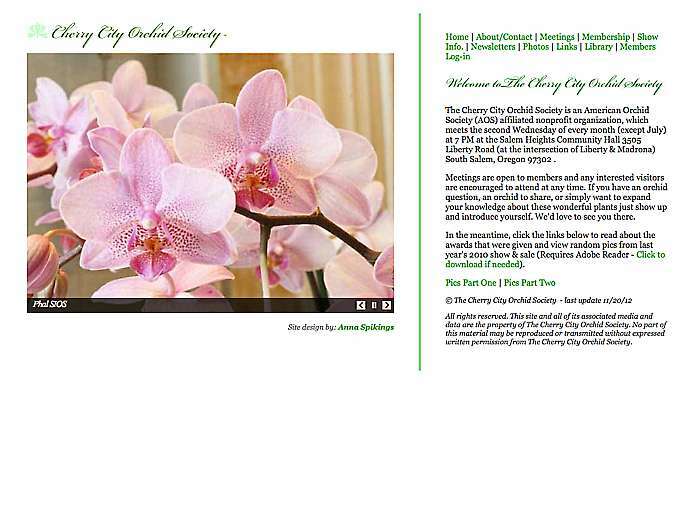 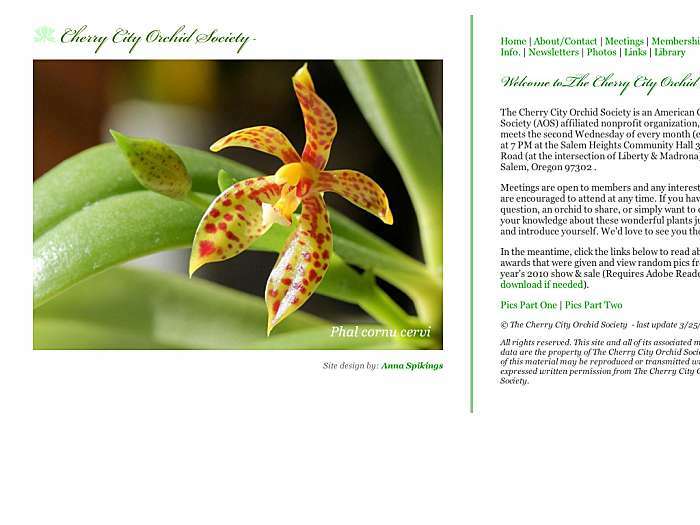 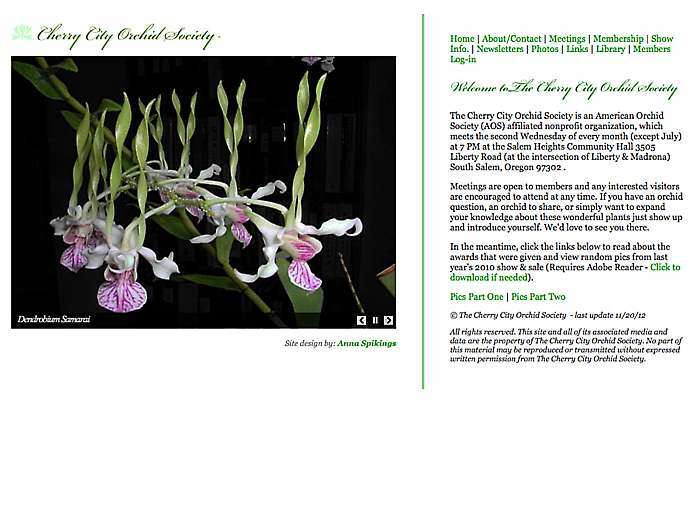 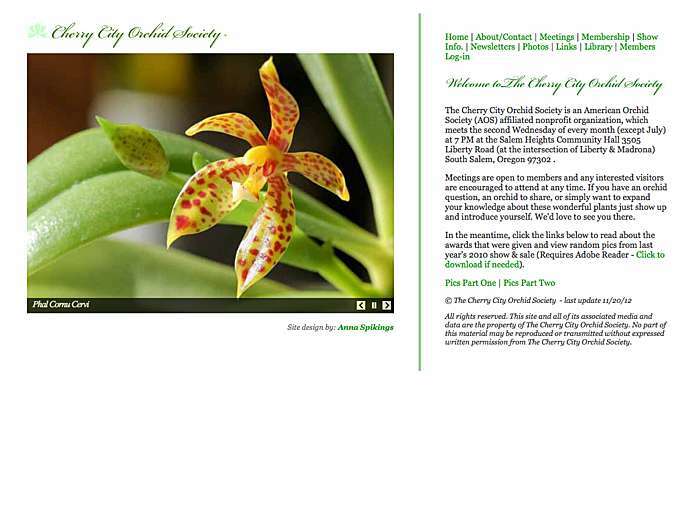 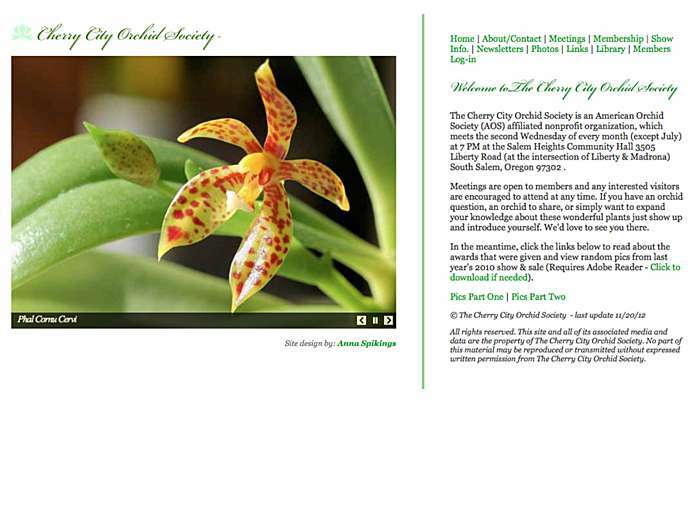 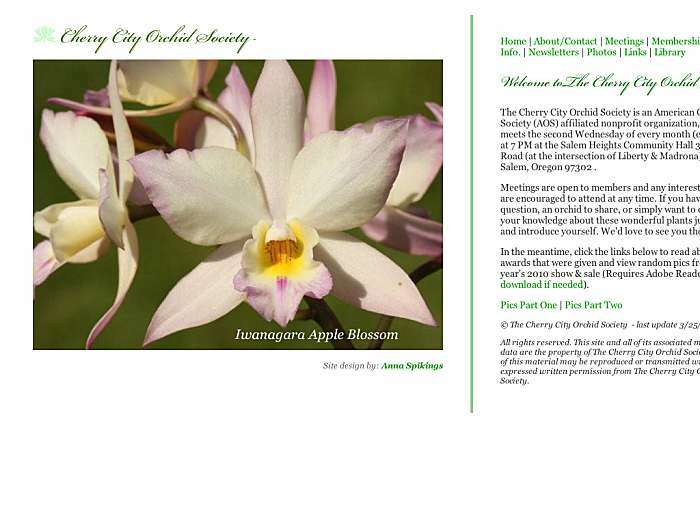 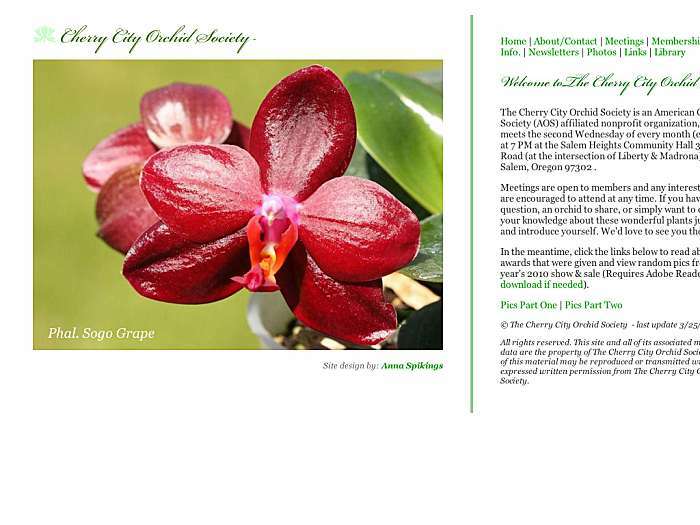 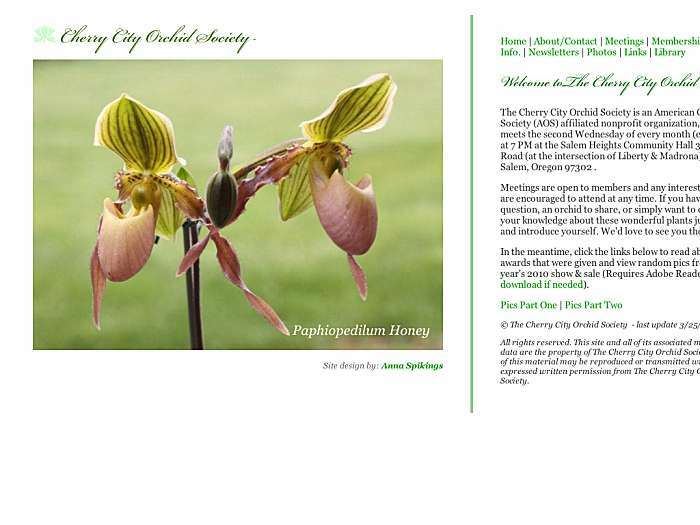 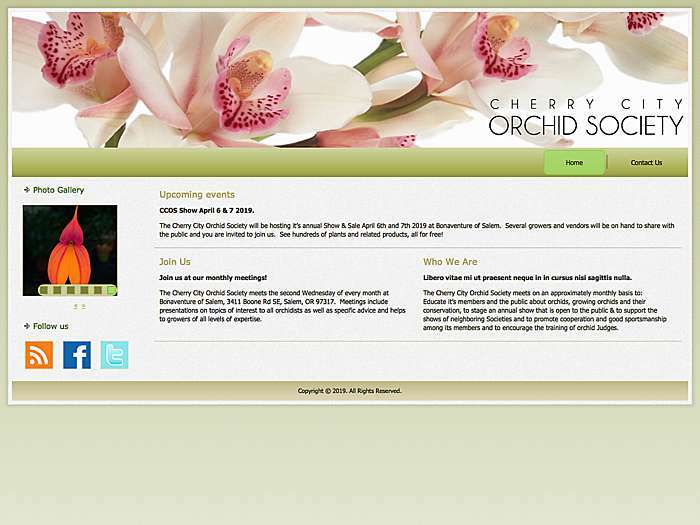 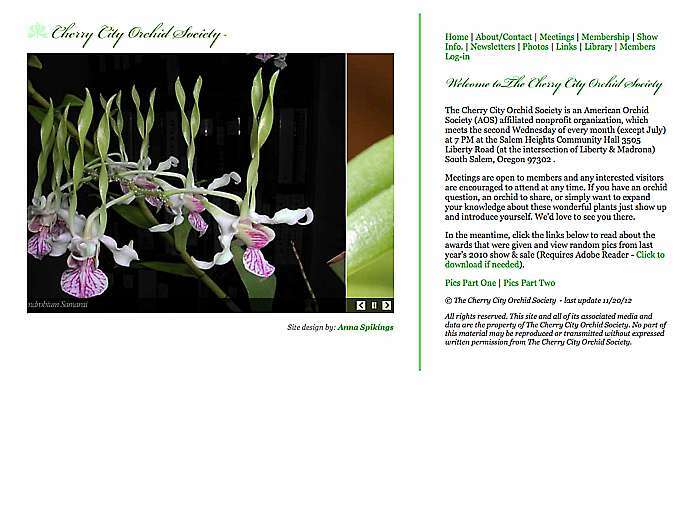 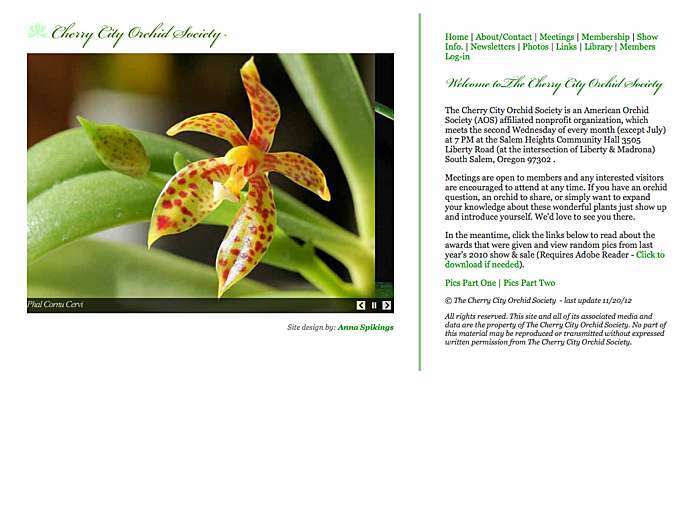 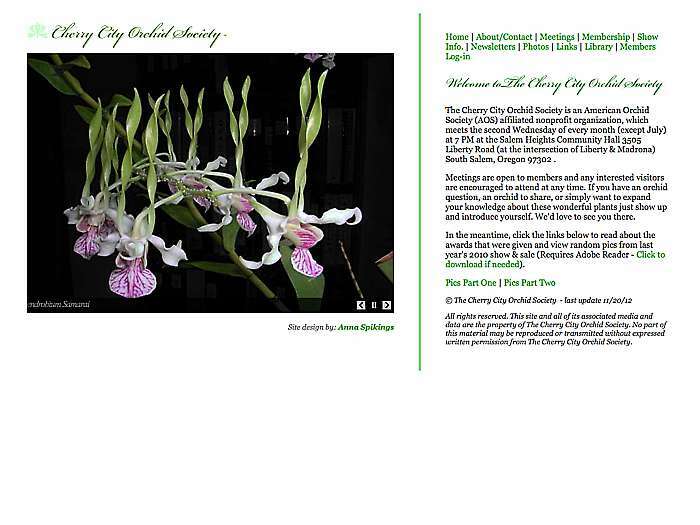 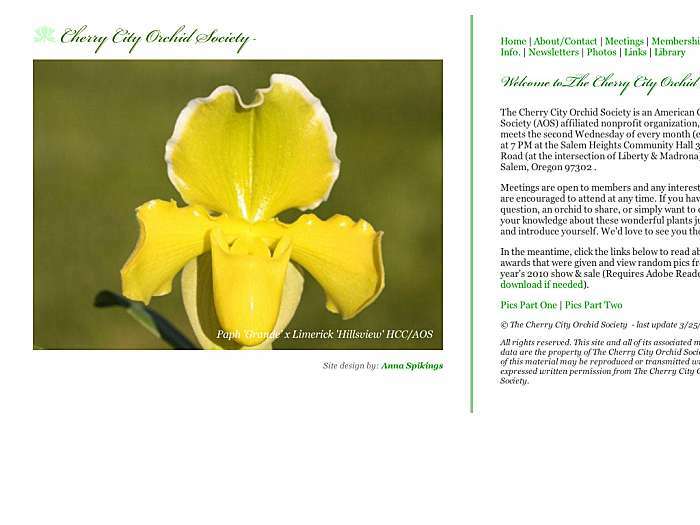 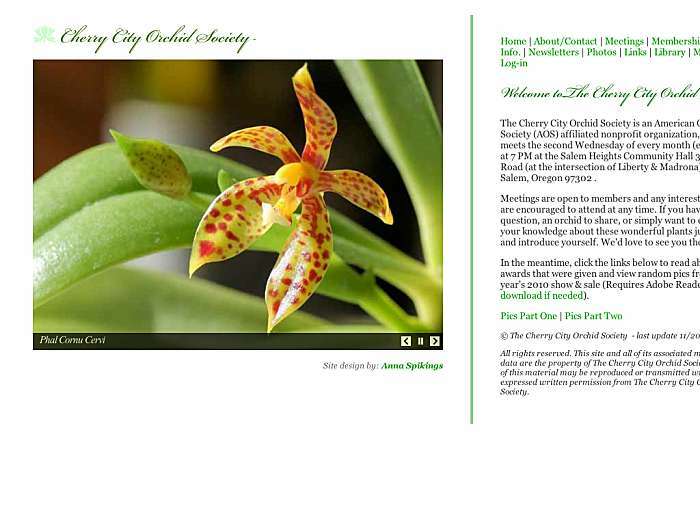 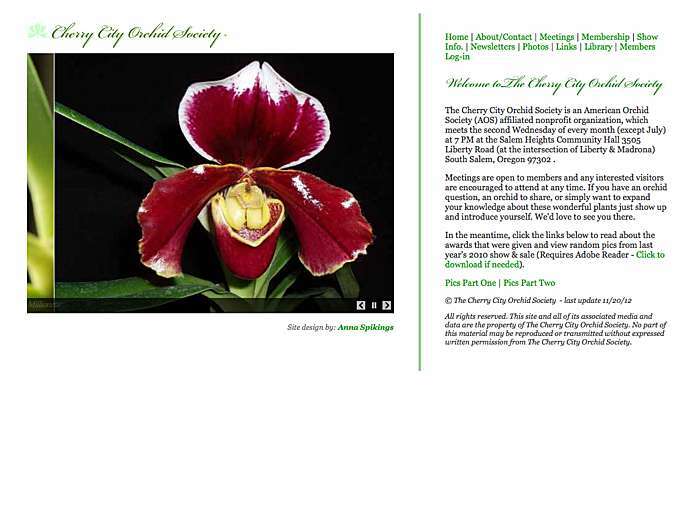 Newsletters and orchid show photos. Salem, Oregon, USA.